Rumors have been swirling for a couple months now that Porsha Williams is a taken woman. Today, she finally confirmed it with some boo'd up pics and videos. Check it inside. 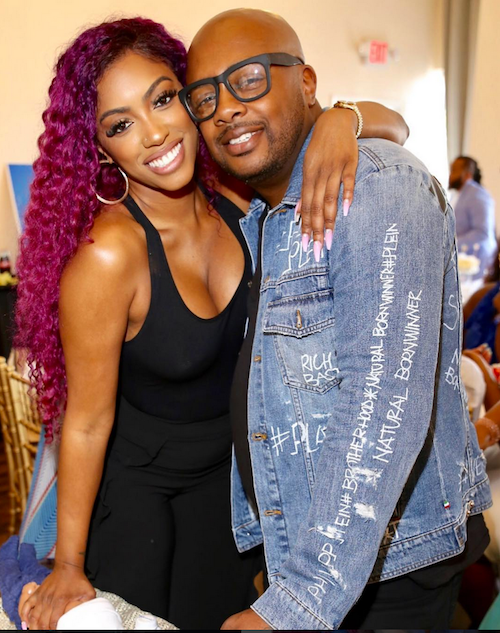 Back in June, the rumor mill had "RHOA" star Porsha Williams boo'd up with Atlanta businessman Dennis McKinley. They were spotted leaving a jewelry store in New York right after the 4th of July, and she finally admitted that she's in a relationship. Well aren't they cute. Looks like her storyline's in tact for next season. #PorshaWilliams giving her man Dennis a twerk filled birthday present. Hit the site for more!